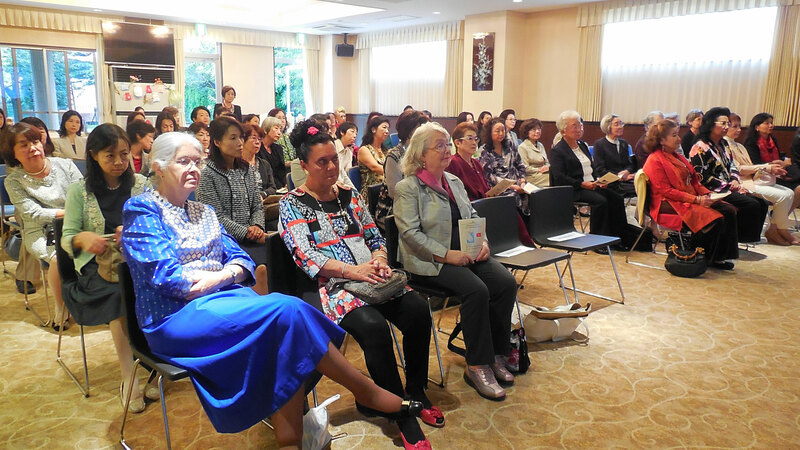 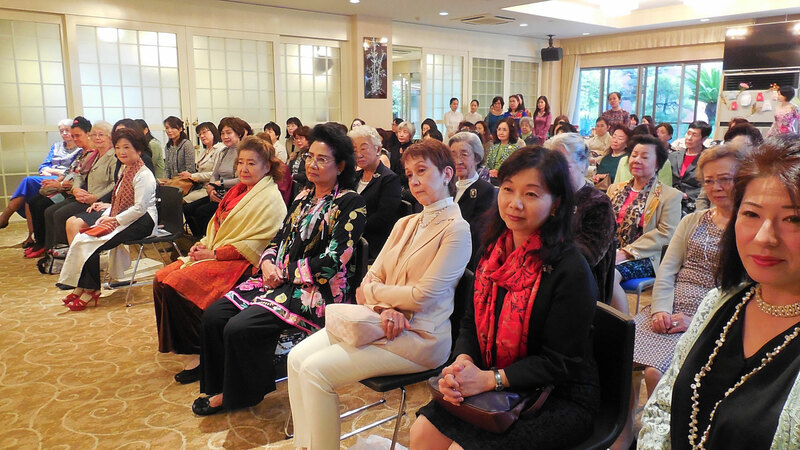 Madame Minh Ha Hoang, wife of Ambassador of Vietnam, kindly invited the members of the Tokyo Women's Club to her beautiful residence. After President Hayashi's greetings, Madame Minh Hah spoke about Vietnam’s fascinating culture. 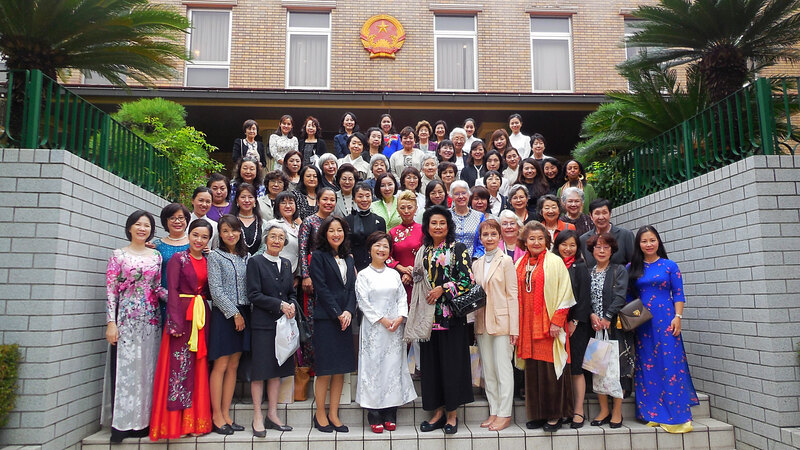 Particularly impressive were her words that the relations between Vietnam and Japan have been growing steadily over many years. 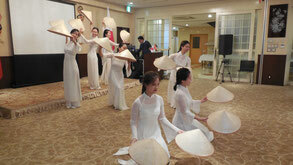 The lecture by Madame Minh Ha was followed by cultural show. 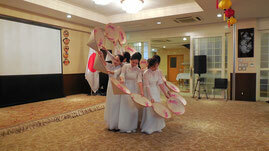 Firstly, Vietnamese ladies danced to the Vietnamese music elegantly. 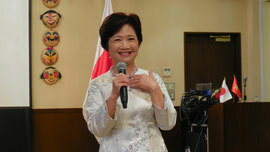 Next, Ms. Keiko Börjeson sang to her own piano accompaniment excitingly. 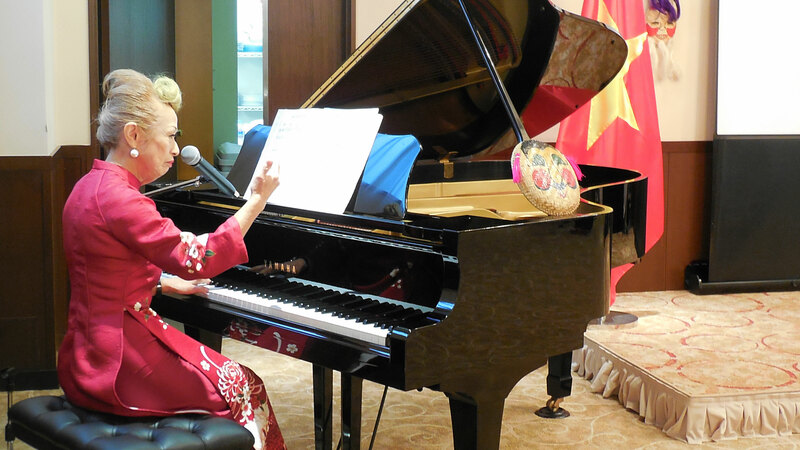 It was also great pleasure to hear Madame Minh Ha sing. Madame Minh Ha gave a luncheon of the authentic Vietnamese cuisine, which is healthy and delicious, -- fried chicken spring roll, fresh spring roll, roasted pork, Phở (rice noodle soup), sweets of lotus, and so on. Lastly, we had a talk session. Some of the TWC members talked about their impressions of Vietnam, which aroused sympathy from many. 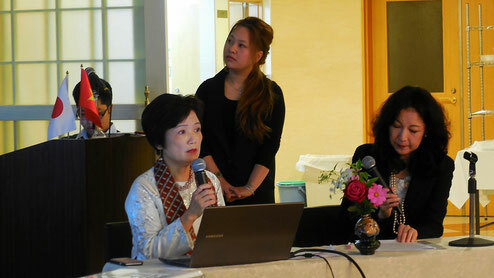 pieces of embroidery, and pearl jewels. 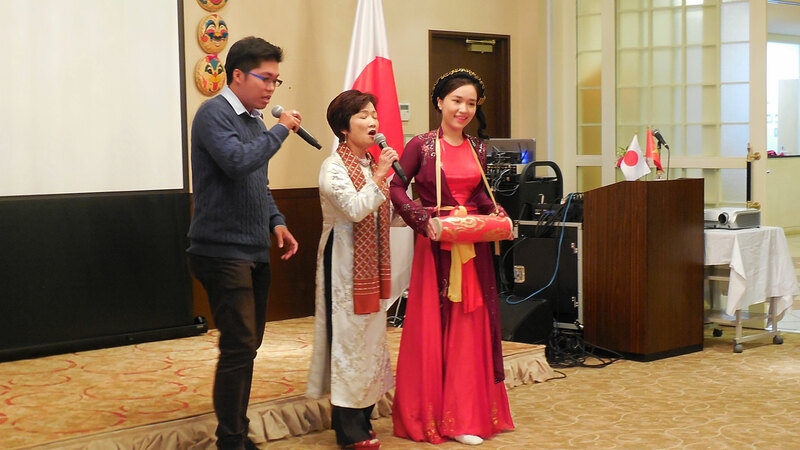 Vietnamese beer and coffee were presented thankfully.